Planting bilva tree and taking care of it earns merit equal to visiting 1001 teerths or performing the famous Ashwamedha yajna. If you are suffering from property and wealth related problem, then there is an easy solution to overcome the problem. It is to make a donation near Bilva tree. 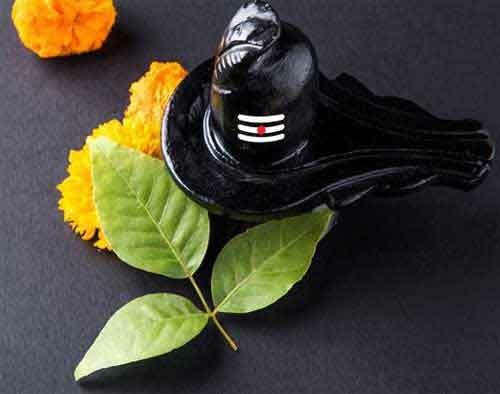 The tree is associated with Shiva and the offering should be made on Monday. 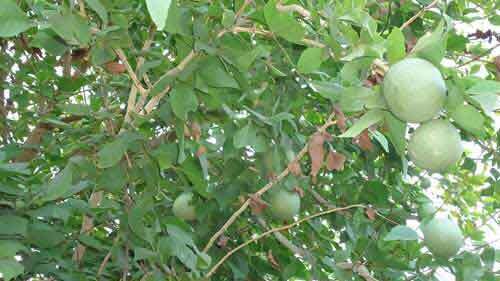 Bilva Tree is known as Aegle marmelos. In Hindi, it is known as Bael or Bel. In Tamil is it is known as Vilvam. In Malayalam, it is known as Koovalam. You need to make an offering of ghee to a Shiva devotee near a Bilva Tree. Another option is to offer food to poor people near Bilva tree – the food should include rice and ghee. Offering kheer to a Shiva devotee under a Bilva tree is another option. The offering should be performed for 7 Mondays. If the offering is made in Shravan month it is double auspicious. Planting Bilva Tree and protecting it helps in achieving peace and prosperity in life. Chanting the prayer Bilvashtakam under a Bilva tree will help in wealth, honor, power, majesty, grandeur, affluence and prosperity. Having a Bilva tree in the east or northeast corner side of the house is very auspicious.